« WNBA Wednesday: Query Roulette 2013! The WNBA-NYC’s Query Roulette is one of the chapter’s most anticipated events of the year. Writers will have the opportunity to meet with and get query letter advice from several top literary agents in one night. To get some insight on how participants can prepare for their meetings, I spoke with one of this year’s agents, Rita Rosenkranz. Ms. Rosenkranz has worked in the book publishing industry for over 30 years. Her career began in the editorial department at Random House. In 1990, she crossed over to the agent side, where she’s been working ever since. Rita has works with many self-published authors, and to date, has resold 13 self-published books to traditional publishers, most recently, Replacement Child by Judy Mandel (recently featured in Parade Magazine), and Back From the Brink by Graeme Cowan. Our members who have self-published may want to take note of this fact! What are some things you DISLIKE in a query letter? I dislike a lack of clarity. I sometimes get queries where I don’t know what the writer is pitching. I can’t tell what the project is about—or even if it is fiction or non-fiction. That, to me, reflects the author’s insecurity about what they’re writing. Short and powerful is better than long and empty. I would hope that after reading the two paragraphs (generally, that’s how long the query should be), I understand what the intention of the work is, and what the writer brings to it, and I can appreciate that the writer and subject are well paired and that the work has promise. [Also,] I don’t like when a query letter is addressed to another agency! Presumably everyone knows [not to do] this, except on occasion I get a query letter addressed to another agency and I realize the writer is sending a mass mailing which is out of order. So, a query letter’s first two paragraphs seem the most important? In two paragraphs, most every author should be able to accomplish an able query. First paragraph: what is the book being pitched? Second: what are the author’s credentials making this an exciting project? You’ve done events similar to Query Roulette, such as “Pitch the Agent” at the 2012 International Women’s Writing Guild conference. Have you signed/found authors through these events? Definitely. I have a very good track record from attending conferences. I travel fairly energetically around the U.S. in order to meet with authors who perhaps couldn’t travel to New York. It helps me get the sense of the world beyond New York, where I’m based. When I’m at conferences, I am seriously looking for talent I can represent. The memoir Replacement Child by Judy Mandel was initially self-published by the author, and has now been reissued by Seal Press. What advice do you have for self-published authors who wish to get an agent and have their book reissued with a traditional publisher? This question is more and more relevant today. I look at every book case-by-case, trying to understand its history, and its success and also its promise based on my involvement. That means, “What can I do to make the success the author has had even bigger?” There needs to be some established energy behind the book, which includes good reviews, sales and the author’s promotion to show the author is capturing the market. 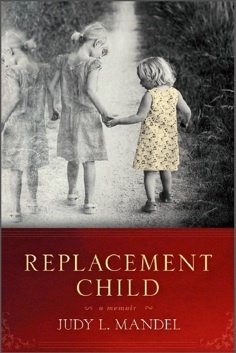 In the case of Replacement Child, the author Judy Mandel had met me years before at a conference. I had rejected her book initially. She went on to have it professionally edited and then self published a version that was different from the one she initially pitched to me (which might just be an interesting side point). Barnes&Noble.com sold about 10,000 e-book copies in three months. Not all self-published books are created equal. Authors have come to me with their self-published book thinking their mission is accomplished. Their part is done. And it’s so disappointing to me. The book might have interesting content, but when the author tells me he has sold only 70 books since publication because he wasn’t able to market it, it’s very hard for me to step in. Maybe if I were excited enough about the promise of that book and willing to overlook the low sales, I could try to help give it a second life, make it happen. But that would require so much more of my time to course correct. I think that before authors self-publish they have to think like a publisher, which means, is it editorially sound? Is it the best project they can offer to the world? Are you sophisticated in terms of marketing to make it work, so that I’ll have something to run with? What are some of the books you represent? I had two successful memoirs in 2009: 29 Gifts: How a Month of Giving Can Change Your Life by Cami Walker and Roll Around Heaven: An All-true Spiritual Adventure by Jessica Maxwell. 29 Gifts was honored by the MS Foundation’s “Books for a Better Life.” Roll Around Heaven won the 2010 Gold Nautilus Award. Jessica is a fantastic writer whose work is not easily cloned. That is my attraction to her work. Designer Drafting and Visualizing for the Entertainment World by Patricia Woodbridge has been in print 15 years (with a revised edition with her co-author Hal Tine about to be published). It’s done very well because nothing competes with it. A book can be very niche, but if it’s a rich niche it is completely supportable. What can Query Roulette participants do to prepare for their agent meetings (aside from bringing enough copies of everything)? You’re [going to be] making an impression within very limited time. One’s pitch shouldn’t necessarily sound overly rehearsed, but it should not meander. It should be clear and precise—a thumbnail delivery as though they were repeating the back cover copy. In each case, especially with non-fiction, there should be some resume revealed—what the author has done to make them well paired to their subject. Remember that the agents who are showing up are looking for talent—and that we are dependent on finding talent. Without authors we are nothing. Meet with Rita Rosenkranz at WNBA-NYC’s Query Roulette, Thursday, March 21. Visit her website at www.ritarosenkranzagency.com. Rachel Weiss-Feldman is the WNBA-NYC Membership Chair. Some useful tips here . . . thanks, Rachel.